Red Faction: Guerrilla Remastered is coming to PC and consoles. THQ Nordic announced Red Faction: Guerrilla Remastered today for PC, PlayStation 4, and Xbox One – or re-Mars-tered if you will. No, we didn’t come up with that pun, Nordic did. The game will go by the name of Red Faction: Guerrilla Re-Mars-tered Edition, continuing the tradition of interesting subtitles from the firm: Darksiders 2: Deathinitive Edition, Darksiders: Warmastered Edition. The remastered version of the classic title will also be available on Xbox One X. Red Faction: Guerrilla Remastered features reworked textures, improved shadow rendering and lighting, shader and post-processing rework, and native 4K support. For those who haven’t played Red Faction: Guerrilla, it takes place 50 years after the events of the original Red Faction. 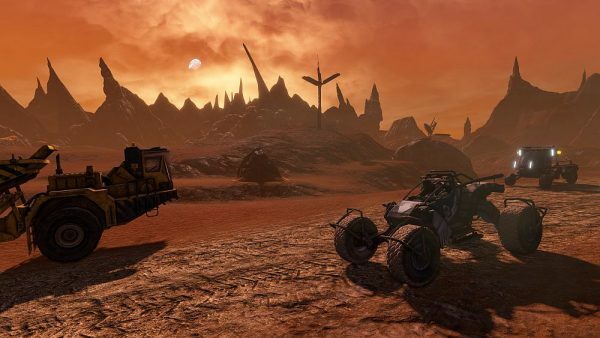 Red Faction Guerrilla: Remastered will be released in Q2 2018. More information on the release will be announced at a later date.